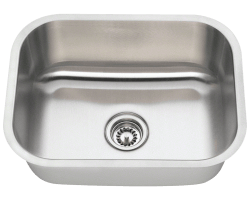 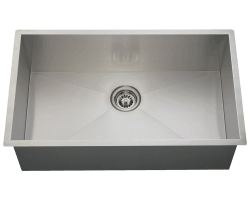 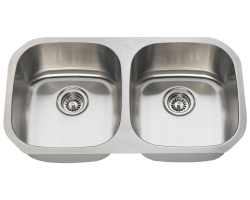 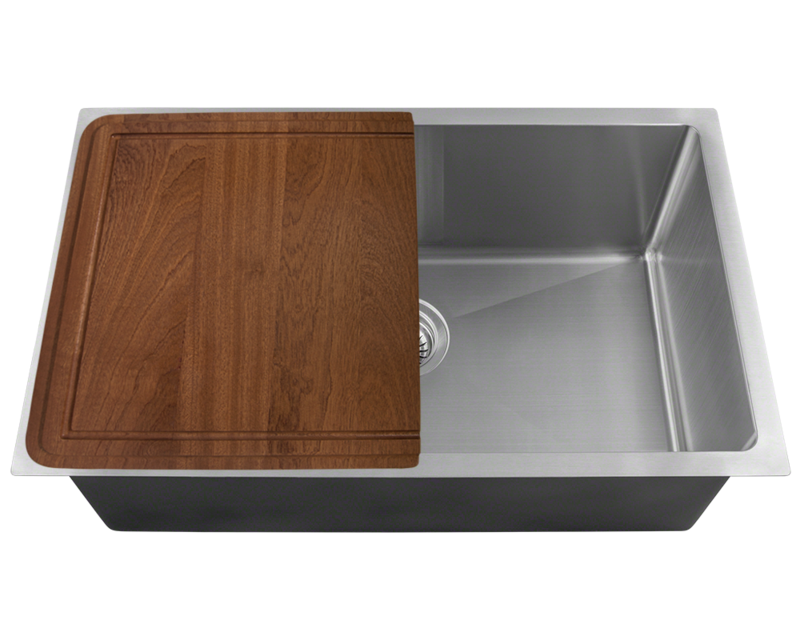 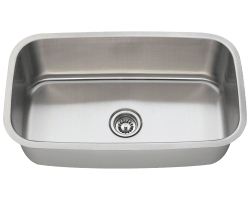 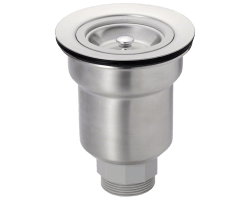 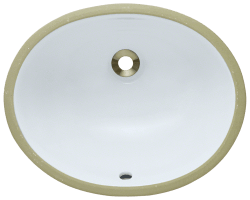 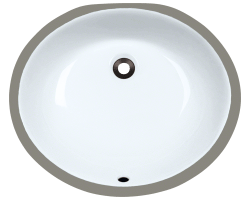 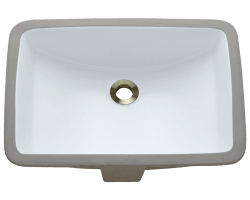 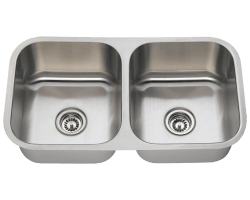 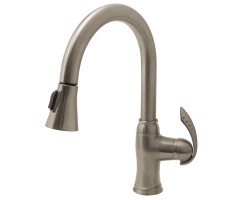 The 2920S is a single basin, filling the size gap between the 3120S and the 1823 basins. 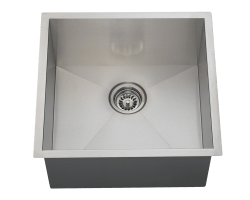 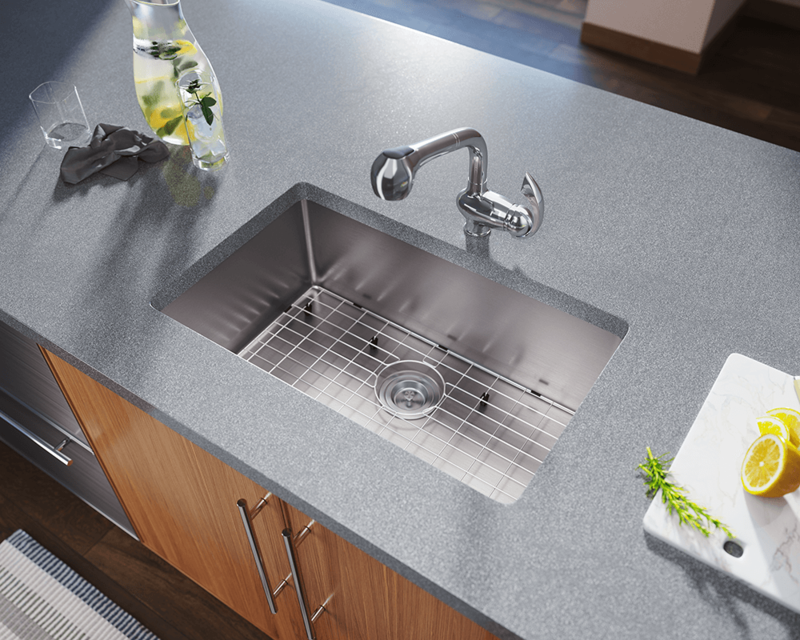 As with all 3/4" radius sinks, the walls are straight and the corners tight; but slightly rounded for cleaning convenience and high style. 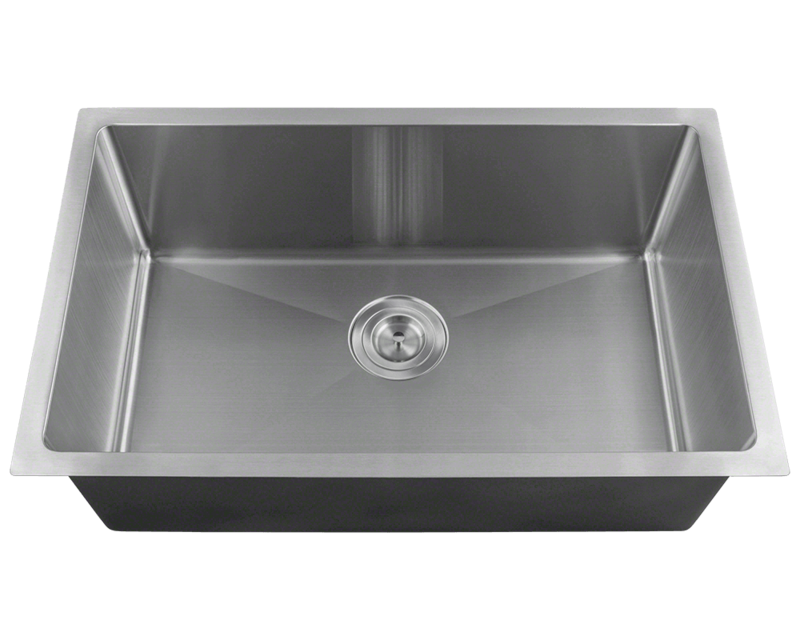 Made from one piece of 304-grade stainless steel, its brushed satin finish hides minor scratches that could occur over time. 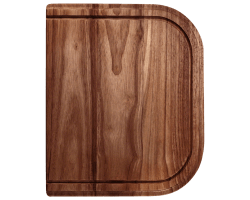 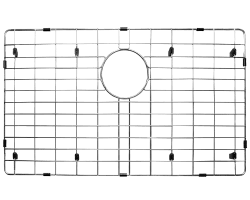 It's available in three thicknesses: standard 18, heavy-duty 16, and a hefty 14 gauge. 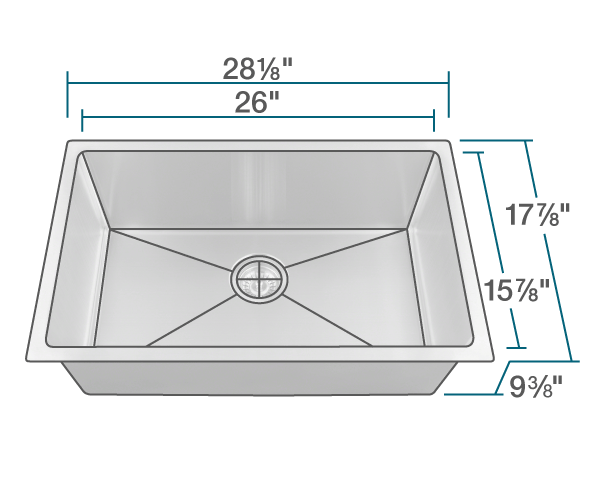 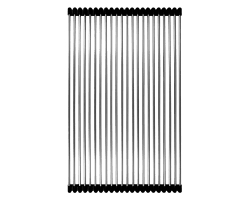 The overall dimensions of the 2920S are 29 1/8" x 18" x 9 1/8" and a 30" minimum cabinet size is required. 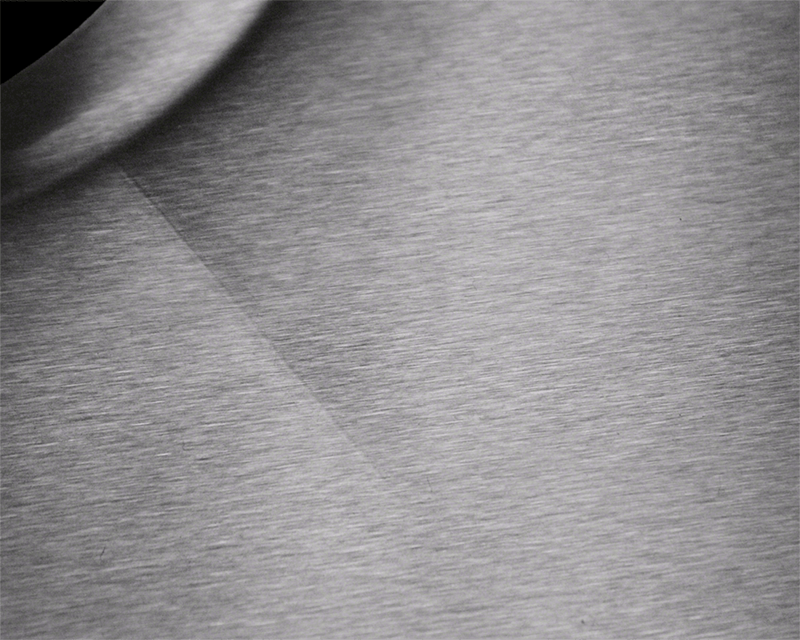 Covered by our limited lifetime warranty, your satisfaction is guaranteed. 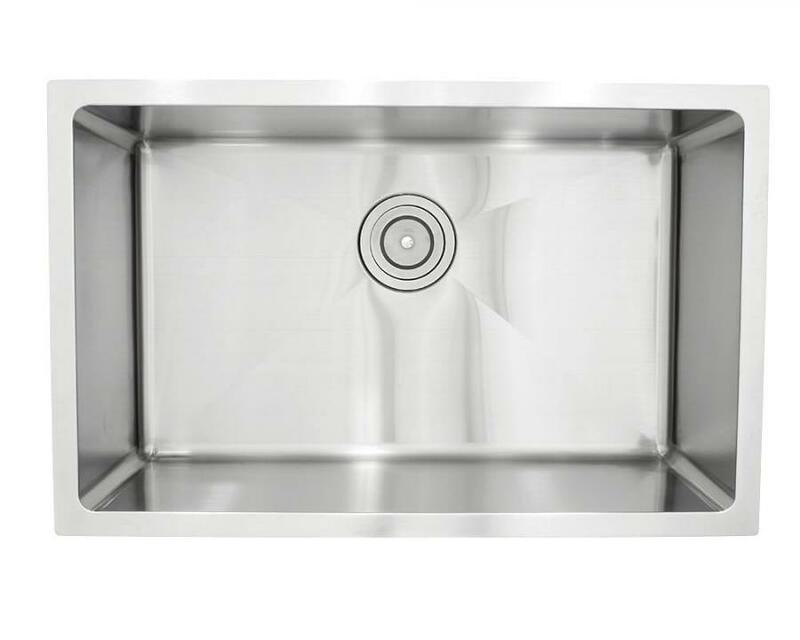 This sink contains a 3 1/2" drain, is fully insulated and comes with sound dampening pads.